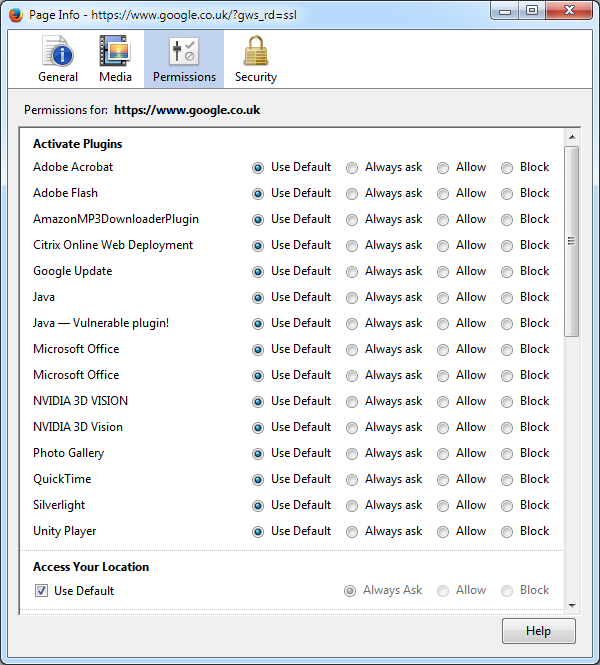 Select ‘View Page Info’ then click the Permissions tab, this will display the window below, here you can toggle a plugin for each website, for instance disable Flash browser wide but enable it to be used in Spotify. The asterisk in front of the font-size command means it is strictly invalid CSS which is ignored by Firefox but is still parsed by Internet Explorer. 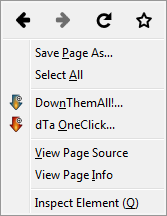 Or how I learned to stop worrying and make Firefox look like Chrome. When Google Chrome was released it suddenly dawned on me that Firefox did not blend very well with Windows Vista. The main problem is the complete lack of transparency which when comparing Firefox with the standard Vista dialogs was an obvious difference. As with most things Firefox this problem has been solved by an add-on called Glasser (external link). This is currently an experimental add-on so you will need to create a Mozilla login before you can download it, but I have been using it successfully for weeks now with no stability problems. It does cause some issues with the menubar but these can be solved by installing another add-on called Personal Menu (external link), this hides the menubar and moves it elsewhere onto the browser window.